Enjoy another delicious and healthy treat from San Marino, the New San Marino Tuna Laing! I am very picky when it comes to instant food and canned goods. 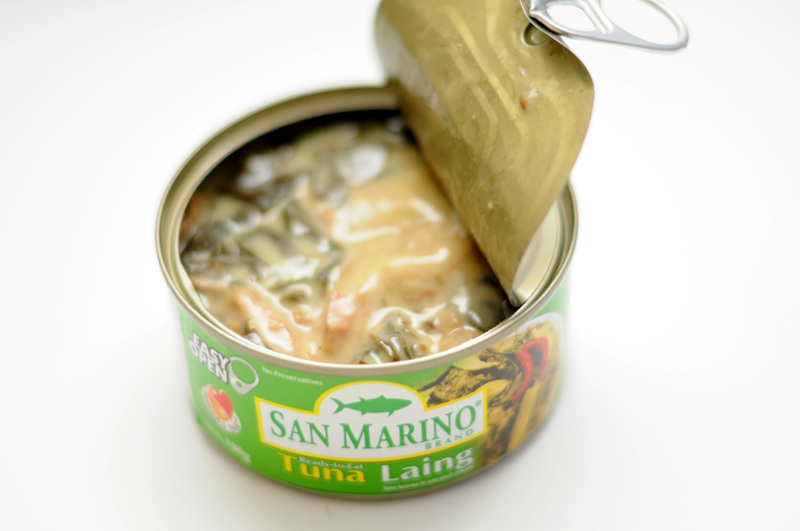 There are only a few brands of it that I trust and one of them is San Marino. They are known for creating delicious and healthy products to health conscious individuals like me. I, for one, believe that they offer the best canned tuna in the country because they were able to differentiate their brand to the others in the market. The recent addition to my short list of delicious and healthy canned goods is their 'Tuna Laing'. Being a huge fan of fish and vegetables, this particular product really gets to my heart. I love how they were able to incorporate the taro leaves with tuna flakes. 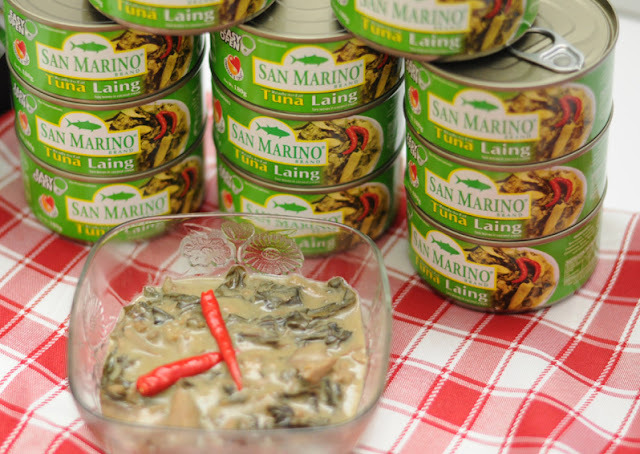 It's very convenient for Laing lovers to eat their favorite dish because San Marino has made it possible to make it an instant goodie. We don't have to go through the tedious process of preparing the taro leaves and milking the coconut. You don’t even need a can opener; all you need is a plate and a cup of rice or bread for dinner/lunch/breakfast to be served. This product does not only taste good but it is also full of vitamins and minerals. 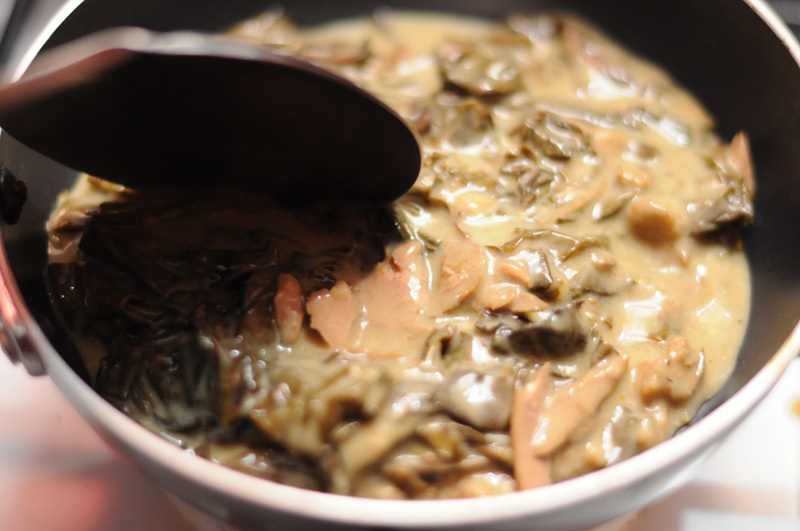 It has Omega-3 which is good for the heart and naturally rich in Vitamins A & C, Fiber and Protein for building good resistance against health risks. 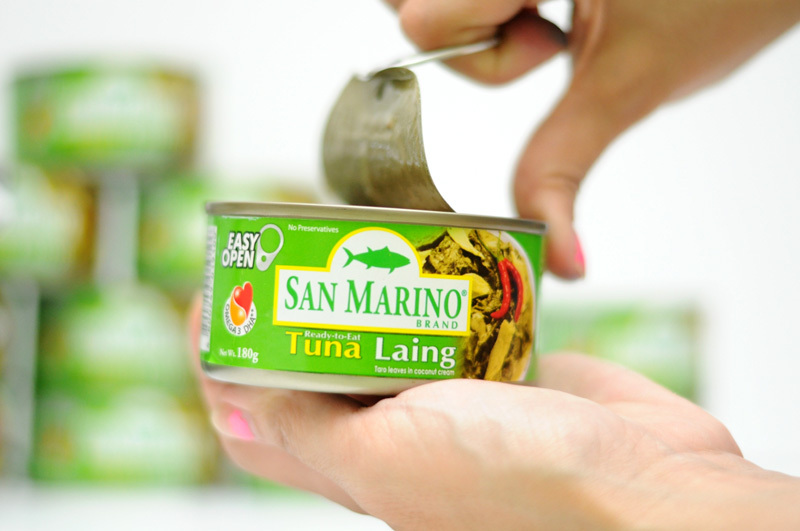 The Tuna Laing is also very affordable at a suggested retail price of 32 pesos per 180g can. It could unlock your creativity in the kitchen and help you make the best meals out of the simplest ingredients. 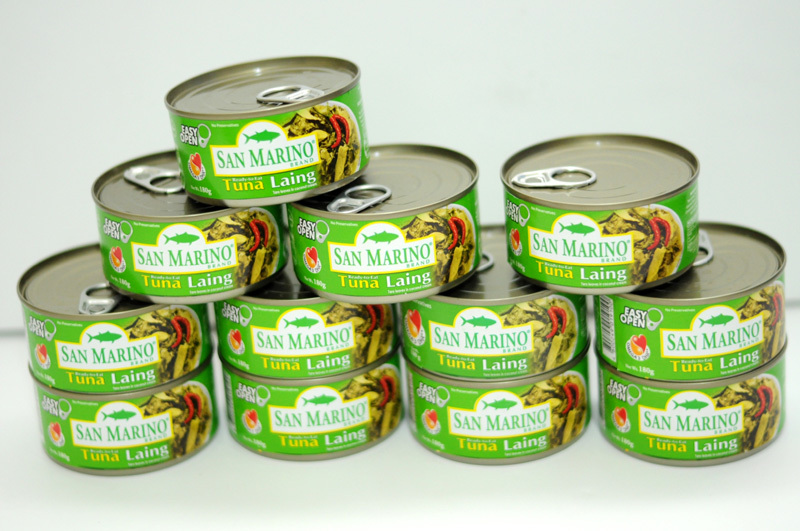 Like their Facebook page (https://www.facebook.com/SanMarinoCornedTuna) for more information and thank me later for introducing you this amazing product. To be honest, I don't buy San Marino products kasi akala ko Corned tuna lang yung meron sila. Haha. Mga kaibigan ko kasi laging ang dami bumili ng Corned tuna, I don't understand why. But this one, itatry ko sya pag naggrocery ako kasi mahilig ako sa laing. Haha. Nagkecrave ako ngayon Haha. Ba yern?